Back in 1988 on a wing and a prayer and with bucket loads of passion, we opened up our first café in Christchurch, New Zealand. It was our intention to serve the best New Zealand foods in a fun, relaxed environment, a novel concept back then. We wanted to do it in a way that didn't rip a hole in your pocket and where the staff actually liked having you around. We called it the Lone Star Cafe. We saw ourselves as frontiersmen opening up a brave new world to the dining-out public. Now 24 years and 21 cafes later, the same values based on friendly service in an atmosphere you can taste have made the Lone Star famous. In 2012, we decided to head out on our big OE (overseas experience), kicking off in Singapore, where it's hot, it's fun and everybody loves eating and drinking out. 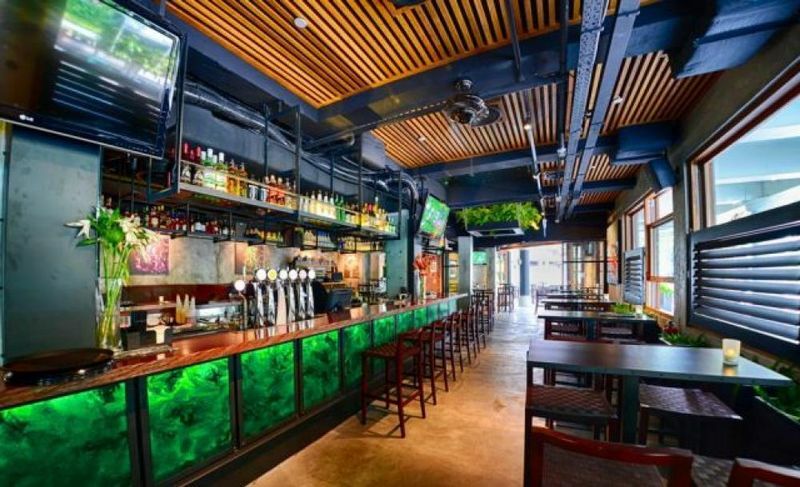 We are very excited to present our first Bar and Eatery, Fern & Kiwi, which opened in Clarke Quay in September. Fern & Kiwi offers you the best of New Zealand food, wines, beers, music and live entertainment, all served in a friendly, fun atmosphere, typical of the legendary Lone Stars. We are very proud to bring a taste of everything we love about home to Singapore, our new home. Conveniently located right next to the Clarke Quay taxi stand, we're here to prove that New Zealand is not as far away as you think.